Inspection Arsenal™ fixturing systems for CMMs, vision systems and portable arm CMMs from Phillips Precision Inc. in the US are innovative ways in which to fixtures your parts on most measuring machines. Create LEANer more profitable CMM inspection and laser marking processes with Inspection Arsenal™ and Laser Arsenal™ – innovative, ready-made fixture plates and fixture clamps. 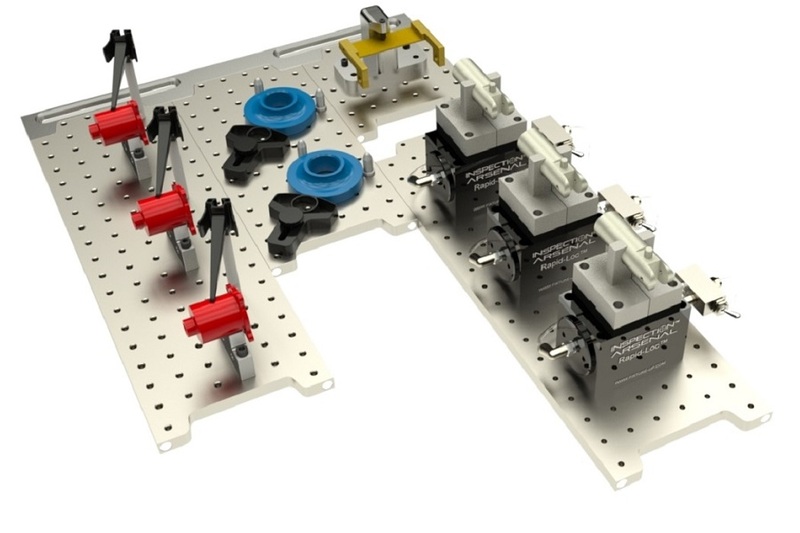 The two main components of the Loc-N-Load™ Fixture Plate System can adapt easily to your equipment. The docking rail bolts in place while interlocking fixture plates quickly secure and release with the use of magnets. 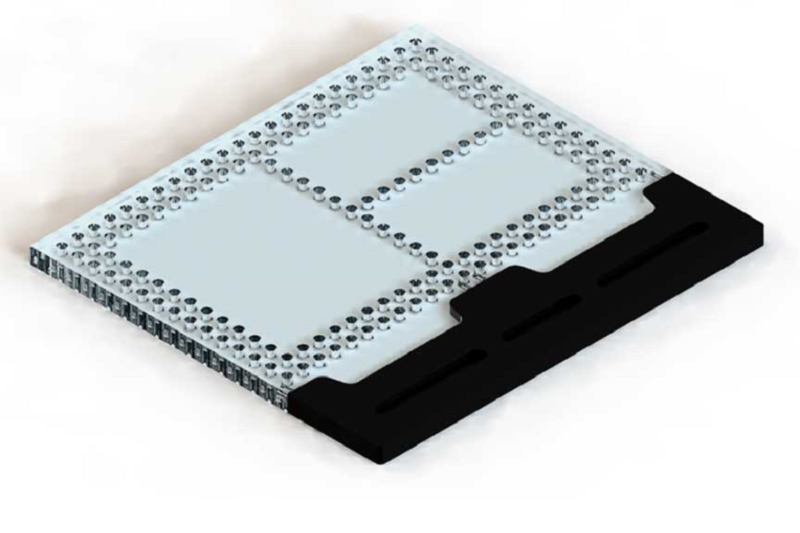 Fixture plates are durable anodized aluminium. The system also includes a variety of non-marring, low profile clamps such as the Trigger-Finger™ hold-down and the spring-action Cross-Bow™ which enable personnel to quickly swap parts. Other conventional fixture components include v-blocks, stops, stand-offs, and riser clamps which can all be configured for a one-piece or multi-part fixture. All of the products that we supply, including the Inspection Arsenal range of fixturing systems, are of the highest quality and are sourced from leading manufacturers from around who are the leaders in their field! We know fixturing and can help you choose the right product for your application and to suit your budget. With many years of industry experience you can rely on our advice to make the right choice. The latest newsletter from Inspection Arsenal has some great testimonials on the savings that some customers have achieved using this very innovative fixturing system. Also featured in this edition of the Newsletter is a full price list on all Inspection Arsenal fixturing system products! Click on the link below to access a copy of the latest Newsletter for December 2018 from Inspection Arsenal. Products include Inspection Arsenal fixturing systems for CMMs, portable CMMs and portable arm CMMs and vision systems.